﻿ Don't Buy A New Washing Machine Until You Read This! Don't Buy A New Washing Machine Until You Read This! When one of your home appliances breaks down, call a professional appliance repair service. They can get your appliance working again in no time and will cost far less than buying a new one. We use washing machines in all parts of our daily lives. Most of the time they're a source of convenience and help around the house, but when they stop working, it's a whole different situation. 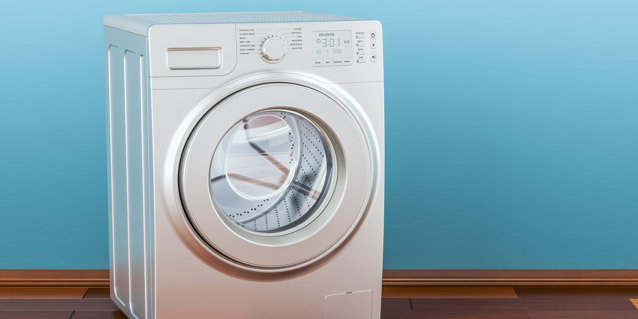 A washing machine that isn't working correctly, or that has stopped working altogether, can cause major interruptions and disruptions in our day-to-day routines. It might seem like a good idea to get rid of the appliance in this type of situation, but that's often not your best move. Instead, you should call a major appliance repair service to see if the appliance can be fixed. You'll get your home life back on track and you'll save big financially. Given how busy our modern lives are, few of us can afford the extra time or inconvenience caused by a malfunctioning washing machine. That's why it's important to call an expert to perform a repair at the first sign of trouble. For those of us of the DIY persuasion, remember that appliances are large, complex, and expensive machines. A botched washing machine repair that you do yourself is going to set you back more than calling a professional to do it right the first time. Given the importance of washing machines in our daily lives, it can be tempting to throw it away just because it's not working right in favor of buying a brand new appliance. However, many washing machine malfunctions can be solved quickly and easily by an appliance repair service, and you might then be able to keep using that same machine for years. When you compare the cost of a washing machine repair to the amount of money you would have to pay for a new one, there's no contest. Trying to repair the machine you have should be your first step. There's even a safeguard built into this option. Your appliance expert will be able to tell you if they can perform the washing machine repair that will get it back in working order, or if you really do need to go ahead and buy a new one. Calling a repair expert is a win-win option. Washing machine repair is an efficient, affordable choice for anyone who's having trouble with a this appliance. When there's a problem, appliance repair experts can get your machine running again so that you can get back to your routine for a fraction of the cost of replacing your dear washing machine.